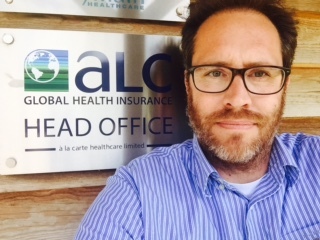 ALC Health specialises in international health insurance for expatriates, with offices in the UK, Spain and Gibraltar. 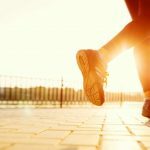 Joe Coker, ‎Senior Business Development Manager, provides us with an insight into the company, and shares his vision of the international health insurance industry. First of all, can you tell us a bit about ALC? ALC is privately owned and was established 14 years ago. We only offer international private health insurance, insuring locals as well as expatriates, so we are experts in our field. We also offer travel insurance for residents of EU countries. ALC stands for “à la carte”. What is the idea behind this name? The starting point for ALC, and the reason it came into being was because there was a lack of choice in the market place. Our idea was to offer our clients the possibility to pick and choose the benefits that they wanted to have and to be able to leave out the benefits that they didn’t. For example, a classic scenario would be: if you wanted a very high level of insurance, for example, it would most likely include some maternity benefit. However, if you are a male, maternity benefit is of no use to you; so you are paying for insurance that you are not going to need. Therefore, the idea of having a menu-based insurance where you can choose the highest level of cover and leave out maternity was very important for us. That was the main driving force behind ALC when we started. What has made the success of ALC since it’s been created? Over the last 14 years, we have positioned ourselves on the market place on service and value. We want to target the top end of the market, for individuals and for groups, but at the most reasonable cost. For example, if you compare our plans to our competitors, we are offering a similar or higher level of cover for lower premiums. And coupled with that, we are aiming to offering the highest level of service as well. Our systems mean we are able to share information easily between ourselves in real time, so we can process applications and claims quickly and efficiently- resulting in a smoother customer service experience for our members. How do you differ in terms of service? The way that we differ from other companies is essentially by showing that we care. When people are ringing up or when a broker is contacting us, what we are aiming to do is to turn any request around as quickly as possible and with the minimum of fuss. So whatever people want to know, whatever people want from us, we are delivering promptly and accurately. We put in place a number of mechanisms whereby we can achieve that: we’re just developing at the moment a new back office system which will speed things up even more. We are probably one of the few insurances out there where if you want to start your insurance policy, you can apply online, you can get a quotation within two minutes and you can be covered with moratorium underwriting within about 5 minutes. Another factor where we are offering the highest level of service and the most impartial service is in the way we deal with claims. You’ve probably heard the expression “you are only as good as your claims”. We recognise that and we have been continuously optimising our claims service. This year, we appointed Healix International to administer our claims service, which is an award winning company. Calls are answered by medically trained members of staff. Claims assessors can then process claims more easily than somebody who has no formal medical training and needs to have information provided by the treating doctor- so overall, there is less questioning, less doubt and less delay at the point of administrating the claim. We have found Healix International to be extremely efficient. The systems and the processes that they have in place have been designed to work hand in hand with our plans. The other very important fact about our partnership is that we are probably the only international private medical insurer that has an independent claims assessor. They are assessing a claim purely on the medical information that comes in and look at the policy wording to see if it’s an eligible claim. I think that’s a valuable plus point for our members. What are the challenges of offering health insurance in foreign countries? How do you get the knowledge from inside the countries where you sell insurance? We are lucky in that that we have a very low turnover of staff. Most of us have been working here for a considerable time and this has allowed us to build valuable internal knowledge about the countries that we work in. We work a lot with our broker partners. We liaise with them on a daily basis. This helps us keep tabs on the worldwide market place and find out what the changing trends are. We also have consultants in various countries and we travel regularly, for example to the Far East. In this way, we have global knowledge and reach- but while there are markets where we are familiar with there are also new territories that we target as well. When we target those countries we tend to do that by speaking to the local brokers, working hand in hand with them, finding out what expatriates need and expect and ensuring that our products fit in with those requirements. What is your vision of the international private medical insurance (IPMI) industry in the next years? We are fortunate that IPMI as an industry is going to continue to grow. Within the next 3 to 4 years, industry voices expect there is going to be about 80% growth globally in IPMI. That’s huge and I think ALC has a good opportunity to grow more than some companies. How do you explain such a growth? Well, everyone talks about this global community and trade agreements setup between the EU and countries in the Far East. There is an enormous amount of growth, particularly in the less developed world and markets that are non-existent at the moment are bound to see growth as they attract an international workforce. In Estonia, for example, when I visited a couple of years ago, the most popular insurance was mobile phone insurance which seems hard to believe. The amount of global travel is going to be increasing and expatriates are going to need health insurance. It’s a fact. That means that there’s going to be development in terms of products and providers in the market place. The market is always a little bit slow to catch up and some believe that IPMI as a market is probably 10 to 15 years behind the UK PMI market. The reason for that is that there are so many different regions with different rules and regulations and the profile for each region is so different that it’s quite hard to come up with a one size fits all product, that’s why there is going to be a lot more regionalisation as well: products designed specifically for different regions. So is this the direction that ALC is taking? We’ve been very successful at working within specific regions, our plans and the way we work mean we can identify new trends within different regions and react quickly to changing needs – we would expect to continue to be successful at doing this and providing suitable products for our members that really match their requirements, wherever they are living around the globe. ALC also puts great stock in the sustainability of our products and pricing- we want to have long term relationships with our members, be they individuals or corporate clients.